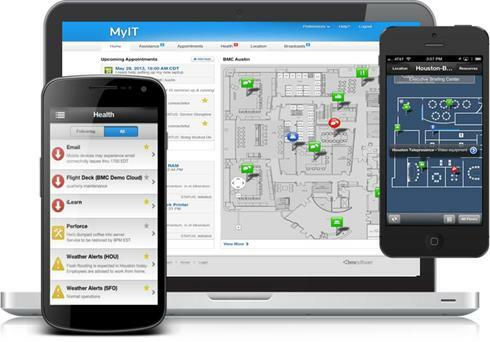 MyIT is a modern self-service app that reduces IT friction, cuts support costs, and boosts customer satisfaction. Just a year or so ago it was impossible to imagine the ease of formless IT, the productivity increase because of context-aware services, and increased freedom of social collaboration. BMC MyIT is a consumer-like app that transforms business users’ IT experience. It’s so easy and intuitive, IT users will actually want to use it on the devices they use every day.